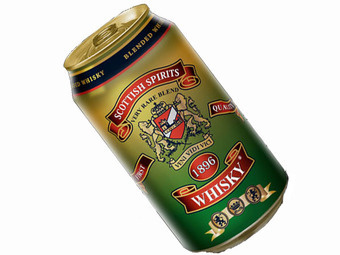 A Latin American booze distributor now sells "dram in a can," 12 ounces of whiskey in one vessel. That's eight shots, so they're marketing it as "the perfect size to be shared between three people." Scottish whiskey makers are outraged.